Enter a world of epic adventure. Ancient and mighty empires vie for supremacy, and the very survival of mankind is at stake. The ancient ruins of collapsed civilizations, both human and non-human, conceal long-lost truths, terrible and mysterious artifacts, and foes thought extinct. Where the notions of good and evil are subsumed by shades of grey. A world in which heroes must choose the greatest good as often as the lesser of two evils. Immerse yourself in a deep fantasy world awash in the intrigues of nations, religions and secret societies. Choose a side; pick a cause and gird yourself for your greatest challenge – Leaving Your Mark Upon the Shattered Empires! Arcanis: The World of Shattered Empires is a role-playing game that immerses you and your players in a story-telling adventure while testing your tactical skills. Epic battles, political intrigue and intricate mysteries have kept thousands of players engaged for over a decade. 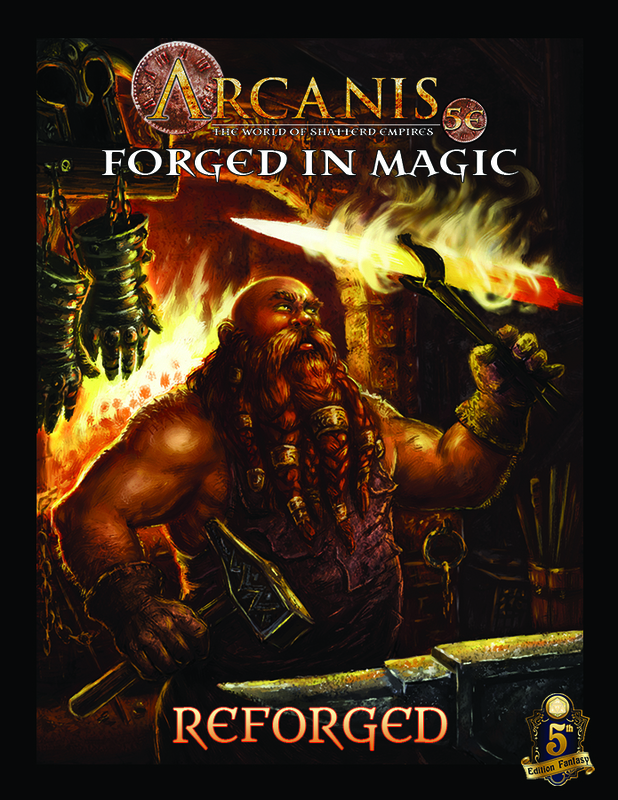 Want to know about Arcanis? Download the original worldbook written during our D20 era FREE! The Origins Award winning Arcanis role-playing game encourages the creation of well-rounded Heroes and simulates combat in a fluid manner. The mechanics are easy to learn but challenging to master. 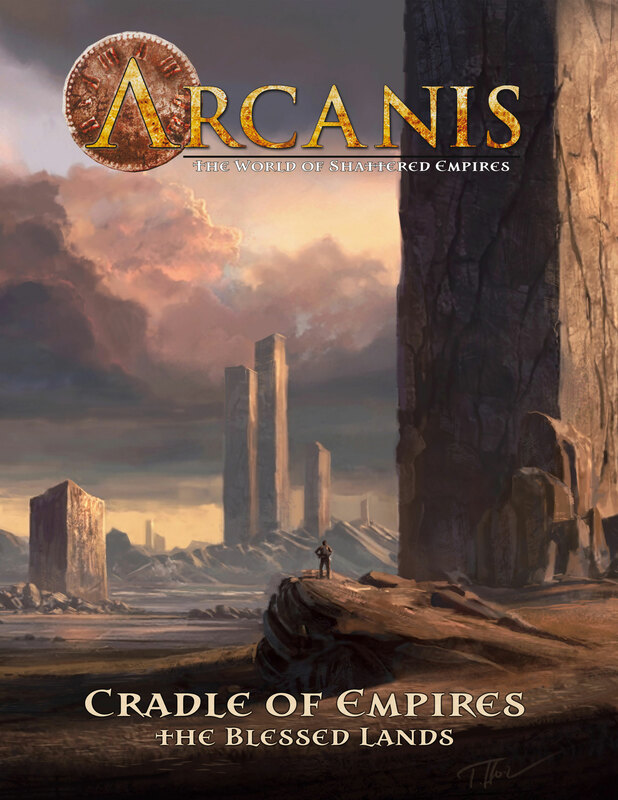 While the Cradle of Empires sourcebook has new rules to support the setting, the majority of the manuscript is story and source material – so dropping it into an existing campaign as a remote and mysterious region is no problem. Use another system? Then just adapt the robust setting and history to whatever game system you’re using to add a deeper, richer playing environment for your current campaign!